Chelsea are fed up with Alvaro Morata’s display despite playing his first season at Stamford Bridge and they are making move to partway with the striker. The Blues are believed to have contacted Argentine striker Gonzalo Higuain over the chances of luring him to Stamford Bridge as a replacement for Morata, who is all but set to return to Juventus in the summer. Though Juventus are ready to end their relationship with Higuain having failed to renew his contract, it is yet to be seen if the 23-goal hero would love to move to the Premier League side due to his age. However, ESPN FC pundit Alejandro Moreno believe Higuain would move to West London on one condition. According to the experienced journalist, Higuain — who scored 23 goals for the Old Lady in the previous season — will be very happy to join the Blues if the former Premier League Champions hire Maximiliano Allegri as their next manager. Roman Abramovich, is being linked with a move to hire former Real Madrid manager Zinedine Zidane as Conte’s replacement but Alejandro advised him to move for Allegri instead. He reiterated that Allegri is the only manager who knows how to get the best from Higuain. He further suggested that the relationship between Allegri and Higuain will play a vital role in convincing the player to switch to Stamford Bridge in the summer. “If Chelsea can convince Allegri to come to Chelsea, maybe he brings Higuain with him” he said. 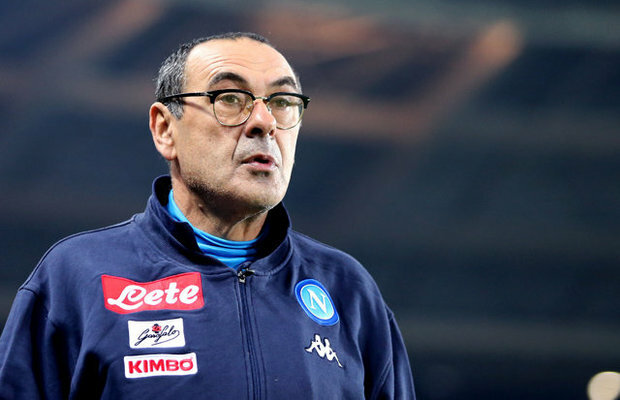 Maurizio Sarri, Zinedine Zidane, Maximiliano Allegri, David Wagner, Carlo Ancelotti, and Laurent Blanc have all been linked with the Blues managerial position but it is yet unknown who would eventually become Conte’s successor.